Those where the words shared by former President Bill Clinton as he helped kick-off the 2015 Patient Safety, Science and Technology Summit this past weekend (http://patientsafetymovement.org/). 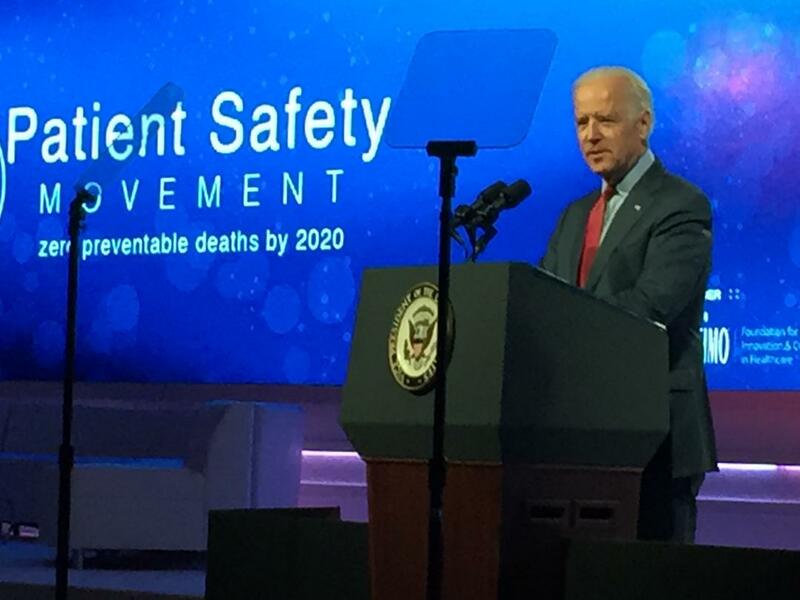 The former president has been a keynote speaker at all three annual Summits and sees the Patient Safety Movement’s mission similar to the Clinton Foundation Global Initiatives Program (GIP). Working with former President Clinton, Joe Kiani adopted a similar “commitment” model used by Clinton’s collaborative GIP in selecting preventable medical harm and setting a goal of Zero Preventable Deaths by 2020 (0X2020). There has been a lot of great work by many patient safety advocates since the release of the IOM report on preventable medical harm fifteen years ago. The Patient Safety Movement is another example of people wanting to make a difference and help reduce risk in healthcare. We hear “it takes a village” and Joe Kiani continues to bring more people wanting to make a difference into the “safety village”. This year, Joe worked his magic and was also able to bring Vice President Joe Biden into the safety village. The Vice President was wonderful – he spoke passionately and eloquently about the safety crisis. He admitted that two years ago when he agreed to meet with Joe, he knew little about the preventable medical error crisis but quickly changed his 30 minute meeting with Joe into a two-hour tutorial on the issue. Like many others, he has become an engaged partner and re-arranged his very busy schedule so he could attend, address the crowd and hear about the great work going on by many. In a short time, the Patient Safety Movement has brought high-ranking “partners” into the safety village, added tremendous value to the mission, and brought significant attention to the great work done by many others over the past fifteen years. As former President Clinton said, we need to embrace more “people who are dying to be asked to make a difference”. It does take a village…and we need to continue to grow our safety village. Of all the books on my nightstand, Timothy Wilson’s, Redirect: Changing the Stories We Live By, has quickly risen to the top of the stack. An easy-to-read, research supported, “how to” on the tools we can use to craft personal narratives that change behavior is music to an already adopted choir. What we have accomplished intuitively with good catch stories, and sharing of patient and provider stories in the healthcare workplace crafted to influence culture change to date, now has a loosely related scientific explanation as to why it may be working. All along, these stories have been providing the “story-prompts” Wilson speaks of–also known as alternative ways of viewing the tough, lesser talked about events that occur in a healthcare setting. Applying Wilson’s research on narrative to healthcare culture, the repercussions of patient harm which often includes healthcare professional feelings of guilt or depression compounded by the lack of a just culture from which to manage both can now be the “old” story, and we can eagerly rewrite exactly what we want our future healthcare culture to look like. We can create a better way of managing both patient and provider when things don’t go as planned by writing the new narrative, along with the roadmap to achieve our new healthcare worldview. What is surprising to me is that this fact is surprising to so many. 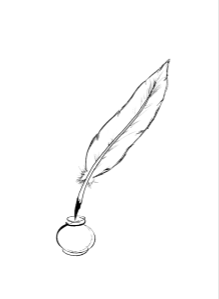 In third grade, thanks to the educational genius of Robin Fogarty PhD, an elementary school teacher at the time and now educational consultant, my classmates and I learned early on the power of daily journaling, or documenting the personal narrative. Wilson takes this healthy release one step further, and teaches those who want to change behavior to create a new personal narrative that matches the desired story of our lives. It’s not just writing the outcome either, but also a well-crafted tale of how to get there. His book provides real tools that can be applied to personal or professional life, as well as to encourage the lasting change needed in healthcare. And, his work reinforces the numerous posts on the power of storytelling here on ETY, as well as in the recently released eBook, Using Stories to Influence Change in Healthcare Culture. For those who enjoy video versus an inviting tome, check out Wilson’s lecture below on the same topic!